Silver Plated bracelet featuring 2 disc charms. 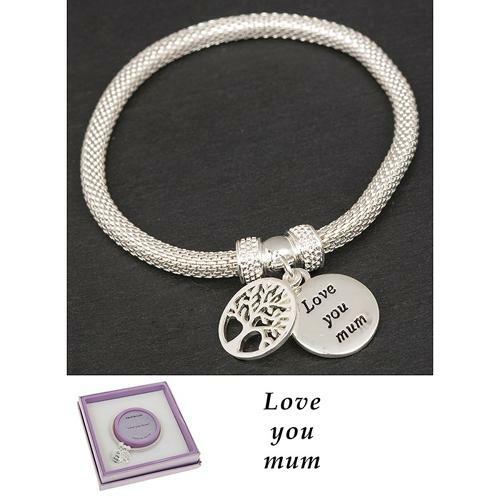 One has the wording 'Love You Mum' and the other charm has a Tree Of Life design. This bracelet is on stretch elastic, which enables it to stretch over the wearer's wrist, to accomodate most wrist sizes. Supplied in a pretty gift box.